How I got a Samsung Galaxy Note 8 for $505! 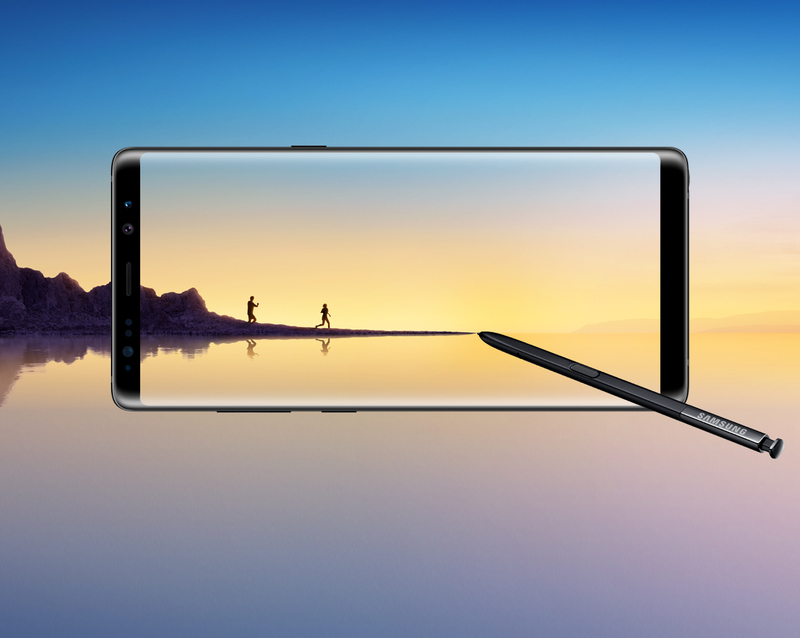 You are at:Home»BUZZ»How I got a Samsung Galaxy Note 8 for $505! I originally ordered my Samsung Galaxy Note 8 via T-Mobile yesterday. With T-Mobile, I paid $210 upfront and taxes and I would be paying $30 for 24 months, which is conveniently added onto my cell phone bill. This morning, I decided to go directly to Samsung. One positive aspect of purchasing directly from Samsung is your free gifts; either 1) 128GB microSD card and Fast Charge Wireless Charging or 2) Gear 360 will ship directly with your order, you do not have to go to Samsung Promotions and wait for 4-6 weeks for your goodies. Another bonus is Samsung already has a trade in offer! Two in fact. Samsung has a trade-in offer available, with you can get up to $300 off! With your trade-in, you actually get to keep your device until you receive your Note 8. Once you receive your new phone, you will receive an email with a pre-paid label to ship your trade-in back. Don’t forget to reset your device! If you are a previous Note 7 owner, you can get $425 for any trade-in listed above! Visit Samsung Note 8 with Samsung Galaxy Note 7 trade-in website, you will have to input your email. Make sure its the same email you registered your Samsung Galaxy Note 7 with, to receive the discount. 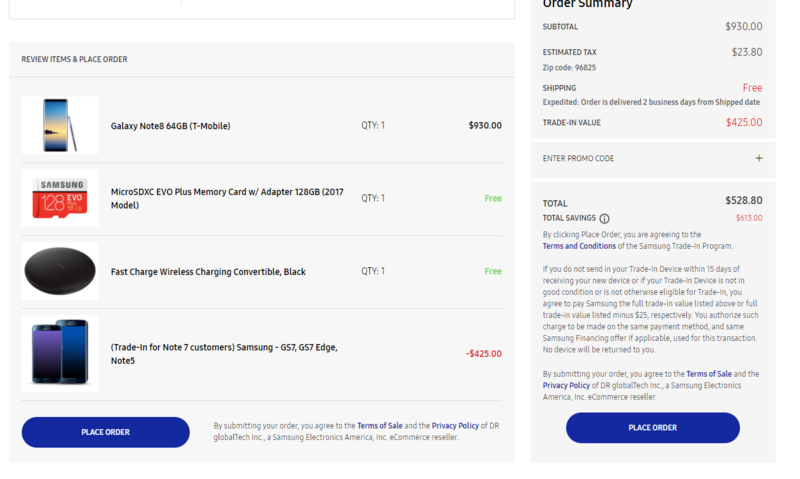 One downside of ordering from Samsung is that your method of payment will be immediately charged, even though the item will not be shipping until mid-September. Here is my final order confirmation. I opted for the microSD and the fast wireless charger since I already own a Gear 360. With the trade-in, $425 was knocked off the price and my final price is $505 and of course taxes. Have any questions? Tweet us @AsianGeekSquad!